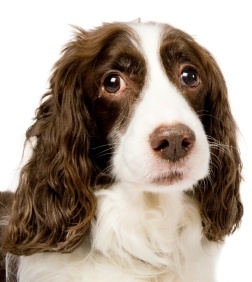 Through the end of October, I'm offering a 20% discount on telepathic consultations with all animals whose breed begins with the letter "E.
The reduced rates this month apply to English Cocker Spaniels, English Foxhounds, English Setters, English Springer Spaniels, Egyptian Mau cats, Exmoor Ponies, and to all other breeds of dogs, cats, horses, or other animals whose breed begins with the fifth letter of the alphabet. Both new and current clients of Animal Translations are invited to take advantage of this program. I'll continue the "ABCs of Animal Communication" promotion in November, when it will be offered to breeds that begin with the letter "F."